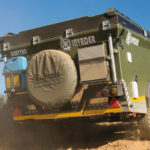 Have you ever wondered which resort is considered by campers and caravanners as the best in South Africa? We have the answer! Two years ago, The Great Outdoors Guide launched our Readers’ Resort of the Year competition. The winner of the award is chosen solely by our thousands of readers, who vote for their favourite resort in South Africa. For our 2017 competition, we’ve reached far and wide in search of votes: In our magazines (Caravan & Outdoor Life / Kamp & Karavaan), our websites, and on Facebook and Google. After receiving staggering amounts of entries, we are proud to announce the winner of 2017 as Klein Paradys, situated in the North-West province. Last year we celebrated Kam’Bati (Western Cape) as the top resort as voted for by our readers. We were inundated with votes from their travelling guests, stating how much they enjoy their stay there, and praise for how much the resort has improved over the years. At The Great Outdoors Guide, we believe recognition should go to the resorts that are putting in the extra effort to ensure an unforgettable experience for campers. Resort owners spend tens of thousands of rands upgrading their parks, whether for new ablution facilities, trampolines for the kids, games rooms, super tubes, animals or security fences. The fact is that running a park isn’t cheap, so a good resort needs your support. This is why The Great Outdoors Guide strives to promote the best outdoor destinations in South Africa. We would like to thank everyone who voted in the Readers’ Resort of the Year competition. 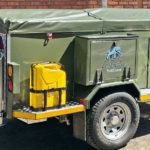 Because, although we do visit as many destinations as we can each year, it’s impossible for us to get around to each one of the more than 1 000 resorts and caravan parks in South Africa! So if you see a 1st, 2nd or 3rd place badge next to a resort in this guide, you can know that it is a destination that has been tried and tested by avid caravanners and campers. 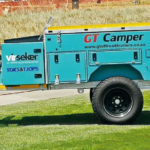 And if you are looking for more lekker camping spots around South Africa, our guide has pictures and details of over 100 premier resorts to choose from. You are welcome to share your ideas, write us feedback, and comment on our sponsors. Give us a call, send us an email, or join the discussion on our website or social media to help us promote the caravanning and camping lifestyle. We are proud to announce that this year’s winner of SA’s readers resort of the year is Klein Paradys in Brits, North-West. For those of you who are unfamiliar with this rural paradise, we personally made a visit to see what all the fuss was about. We were beyond amazed! The park itself has been in operation since 2005, and is a second-generation family business. Bennie and his son Emile Werner have done an outstanding job. 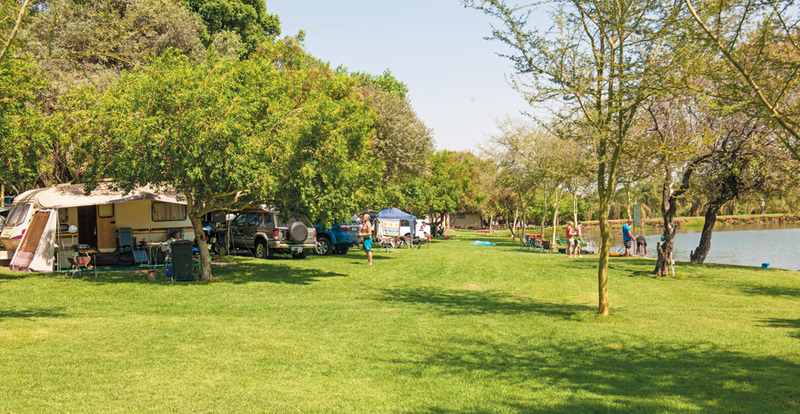 The park itself is a massive 26 hectares and includes five swimming pools (three heated and two normal), plenty of braai facilities, a shop, kids’ playgrounds, trampolines, picnic areas, fishing dams, tennis courts, putt-putt, six super tubes, and more! There are plenty of canoes around the dam, which are free to use if you’re a camper or caravanner. The dam boasts a large variety of fi sh species – including carp, bass and tilapia – and if you see the pictures at the park office, they’re most certainly no small fry! There are 80 normal caravan stands and 20 “luxury” stands available. Apart from the prime location of the Luxury stands (situated right on the river) they also offer more space and privacy, and you get your own ablution facilities. All the caravan stands (some with paving) have 15 Amp electricity sources, water taps, portable braais and plenty of trees for shade. Ablution blocks are spread throughout the camp, and include a total of twenty baths / showers and twenty-two toilets. Klein Paradys also has three self-catering chalets available, each with two double bedrooms. There is a small kiosk on the premises that stocks the basics and some household necessities. The kiosk’s opening times are Friday 8:30am – 6:30pm and Sunday 8am – 5pm. Although Klein Paradys is only open from Friday until Sunday during normal times of the year, if you’re lucky enough to book a stay for 15 days over the summer holiday, you are in for a real treat! Day visitors are also welcomed at R150 per person. During the summer school holidays, there is a young and vibrant student team that visits the park almost daily. They are energetic and ready to entertain both you and your kids all day long – so leave the iPad at home! The activity team has rockclimbing walls, bows and arrows, hide-and-seek games, touch rugby, dancing lessons and even outdoor movie screenings! For those of you who are security conscious, don’t worry: the perimeter has an electric fence, is monitored by a 24-hour camera system, and is patrolled by guards and even a dog handler! Not that security has ever been an issue, but you can never be too careful. Chatting to Emile, who runs the park and is most often seen riding his fourwheeler, we asked him what new additions he would be adding to the park in 2018. He replied that, due to the popularity of his super tubes, he would be adding a sixth one in February. In short, the grass is immaculate, the dam water is pollutant free, the pools are blue, the vegetation is green and the ablutions are more than satisfying to use! If you feel the desire to get away from the hustle and bustle of city life, then we definitely recommend this outdoor paradise experience to you and your family. The only extra advice we can give is to make your booking far in advance – due to the popularity of Klein Paradys, they book out fast. Congratulations, Klein Paradys; you are South Africa’s best resort of 2017!